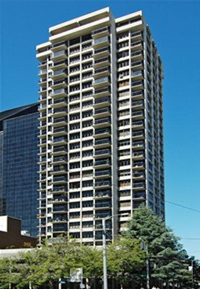 The Royal Crest, constructed in 1974, is one of the original high-rise condominium buildings in the Belltown area. 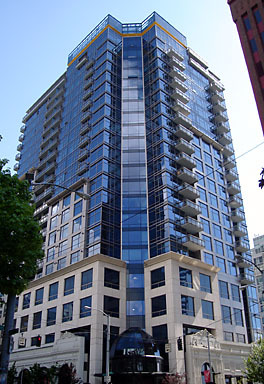 It’s central location (next to the “Darth Vader” building) puts it in the middle of Belltown and downtown life making the 26-story building a prime choice for many people. The Royal Crest features a swimming pool, exercize room and sauna. As might be expected of an older project, the units in the Royal Crest may not be up to the standards of newer residences such as the Cristalla or Cosmopolitan. You won’t find gleaming granite and stainless steel or expensive upgrades here. However, with a current price per square foot of $413, Royal Crest is an affordable option for someone looking to experience downtown living. View available Royal Crest condos for sale.